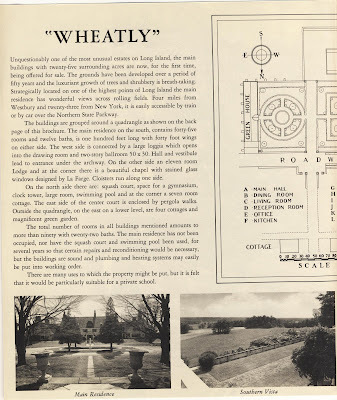 A brochure advertising 'Wheatly', the E.D. 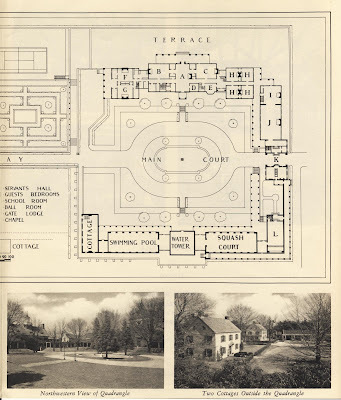 Morgan III estate designed by McKim, Mead & White between 1890 and 1900 in Old Westbury. 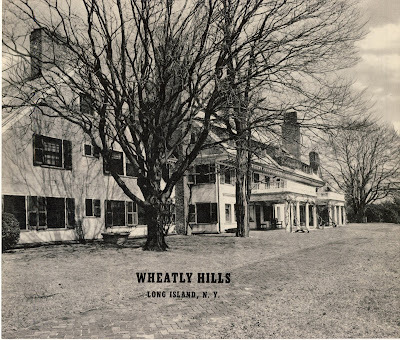 'Wheatly' was one of the very first estates of this scale to be built on the North Shore. Morgan was a former Commodore of the New York Yacht Club and an internationally famous yachtsman. 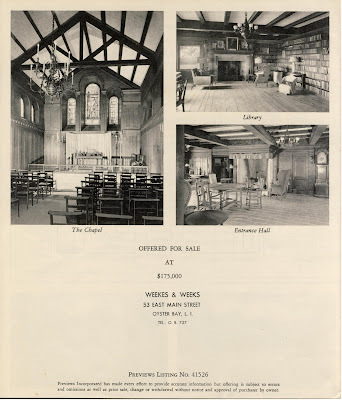 Click HERE for more info on 'Wheatly' and to see what remains today. Brochure courtesy of the Society for the Preservation of Long Island Antiquities. The brochure is most likely from the late '30s/early '40s. I am so glad you are running these articles. My daughter's godmother grew up in this house in the 1950s! How fabulous. I have always thought to have a private chapel is the most luxurious thing imaginable. My mother, Katharine Archer Morgan Jay Bacon, grew up at Old Wheatly (1928). I'd love to see more old photos, if possible? Thank you!